The Philippines at long last finally made it! Since the Philippines’ very first entry in 1966, i.e., 46 very long years, finally in this lifetime and this year a Filipina by celebrity actress gorgeous Megan Lynne Young bags the very first Miss World crown for her pageant amorous country. 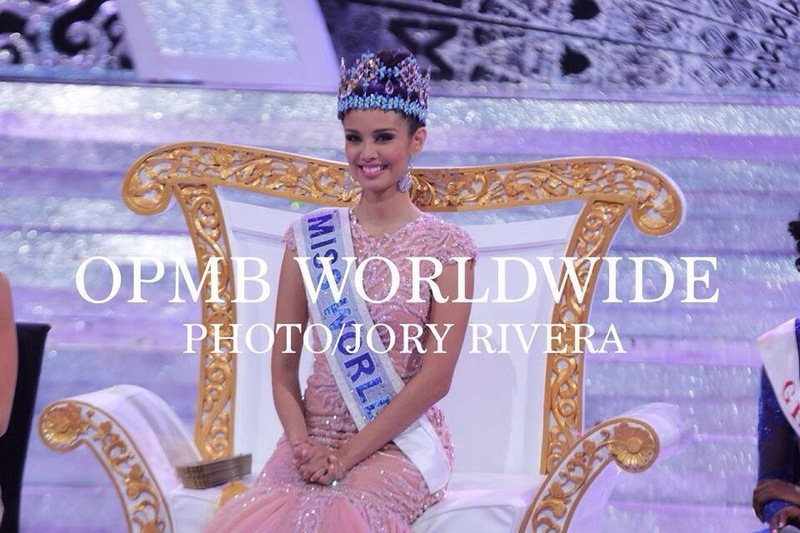 September 28, 2013 has now become a remarkable date in Philippine pageant history as our Megan Lynne Young, 23, 5’8″ was officially proclaimed Miss World by MWO producer Julia Morley in a fabulous ceremony in Indonesia. Ecstatic still to this very writing, the joy of Megan’s victory has been an overwhelmingly wonderful experience as we all have been for the longest time excitedly waiting for this truly momentous event to take place. Indeed, watching the pageant On LIVE streaming was truly exciting and tension-filled especially with the company of good friends and pageant enthusiasts. My friends and I held a viewing party in Crash Pad Bistro, which by the way serves good food at the Palm Towers Condominium in Makati City. We utilized the working online LIVE streaming links as I did REAL time updates on the Facebook FAN page I manage (Link: https://www.facebook.com/pages/Binibining-Pilipinas/339622105370?ref=hl). We all felt something great was abound. True enough, the many prayers, all so positive vibes, best of wishes, the gayest and of loudest cheers, etc., might have all conspired with the good universe to swing to Megan’s winning momentum. Megan bested 126 other delegates in a festive event at Bali Nusa Dua Convention Center in Bali, Indonesia including France’s Marine Lorphelin, 1st Princess and Ghana’s Carranza Shooter, 2nd princess, respectively. Other finalists included delegates from Spain, Brazil and Gibraltar. 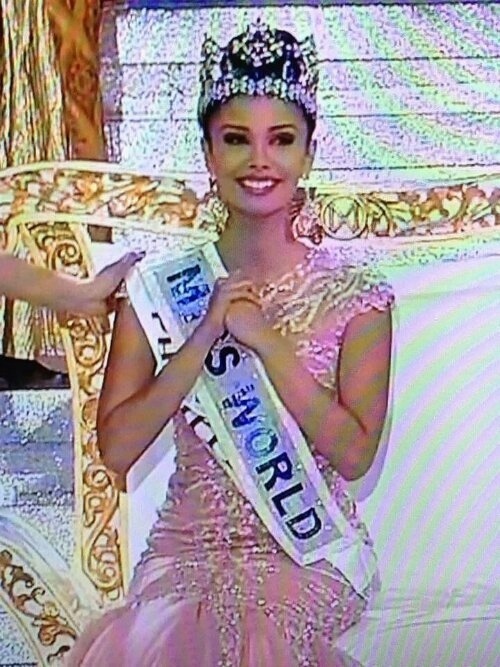 Congratulations to you Megan for being our very first Miss World! You made us, your country people, extremely happy and very proud! 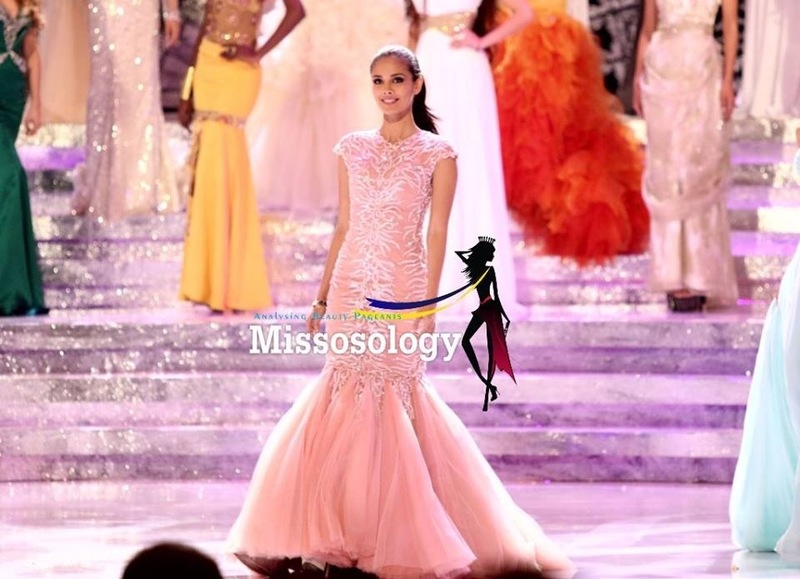 Will Megan Young be the Philippines’ very first Miss World? 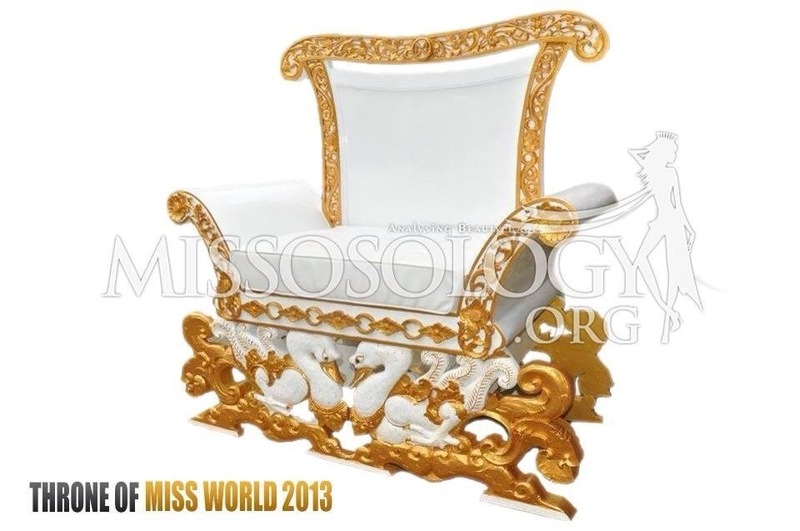 Tomorrow, September 28, 2013, at Bali Nusa Dua Convention Center in Bali, Indonesia we shall all witness the crowning of the 2013 Miss World, the 63rd edition of pageant. Reigning Miss World Yu Wenxia of China PR will relinquish her crown to the rightful and most deserving queen from among the over 120 delegates competing this year. Certainly this year is the most exciting for this pageant amorous Philippines as she is represented by a really lovely goddess of beauty and ever amiable actress Megan Lynne Young, 23, and 5’8″ tall. 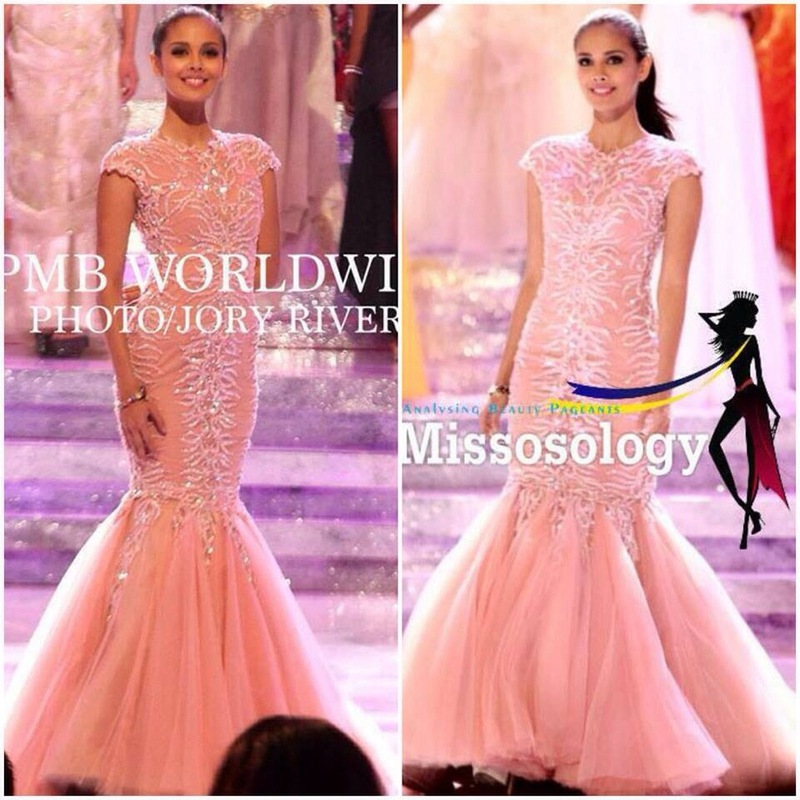 Megan is favored to win the Miss Wold crown by the many so called pageant experts and pageant netizens. To date, Megan has won the the plum TOP Model award, placed 4th in the Multi Media challenge and 5th in Beach Fashion. Such truly manifest good signs of being a real front runner to the blue crown. 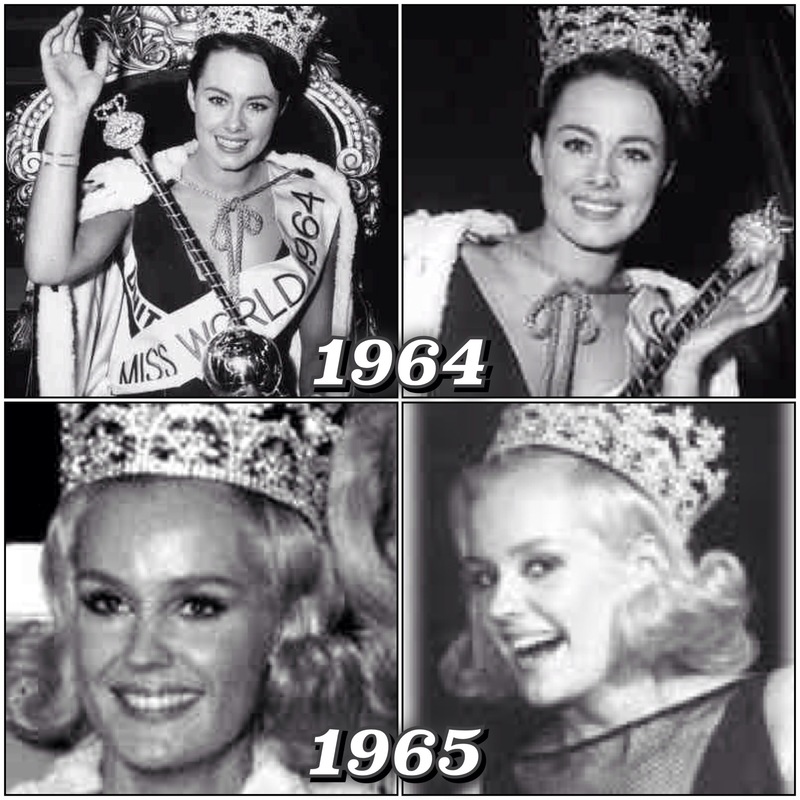 Yes, the Miss World crown has never won by a Filipina just yet from her very first entry in 1966. 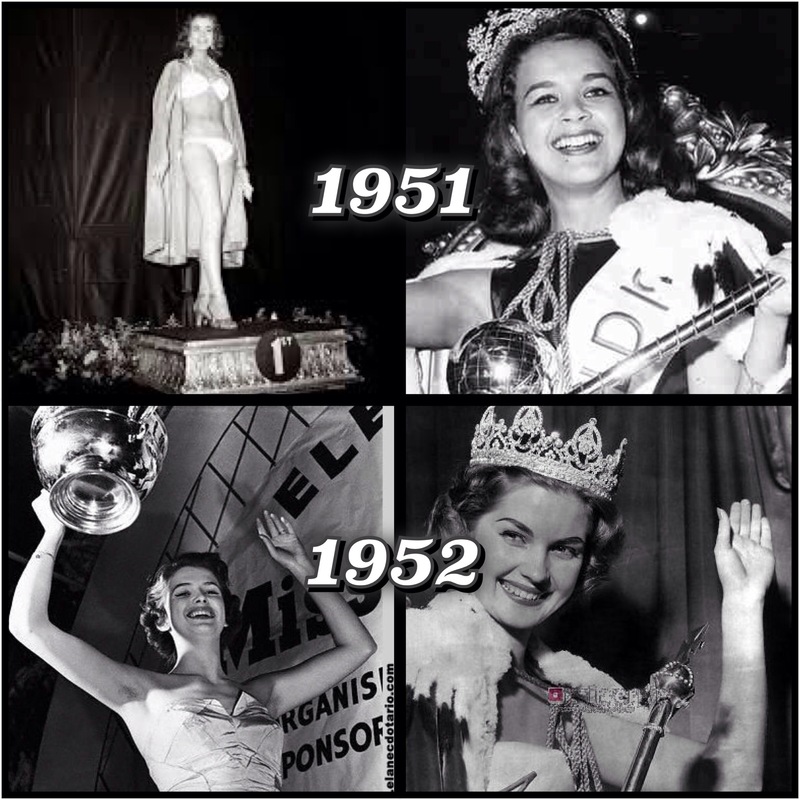 Closest ever were Evangeline Pascual in 1973 and Gwendolyn Ruais in 2011 who both placed First runners up. 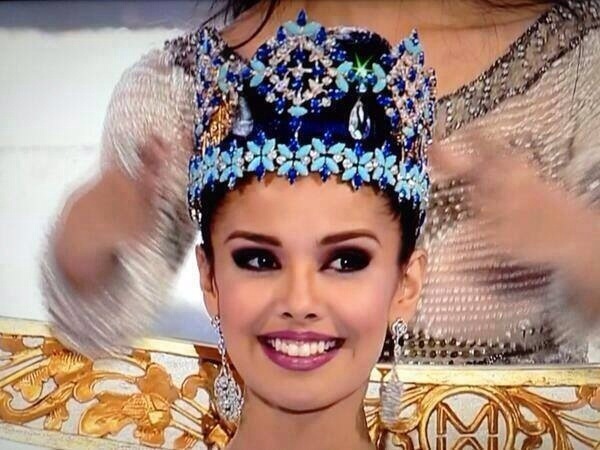 Will Megan Lynne Young be the Philippines’ very first Miss World? Such is the real clamor and prayers of this nation. For sure Megan will be an excellent and famous Miss World as she is a perfect ambassadress of beauty with a good purpose-very amiable, communicates excellently, very classy, truly confident, stunningly beautiful, naturally likable, etc. Tomorrow is the day we’ve all been eagerly waiting for. 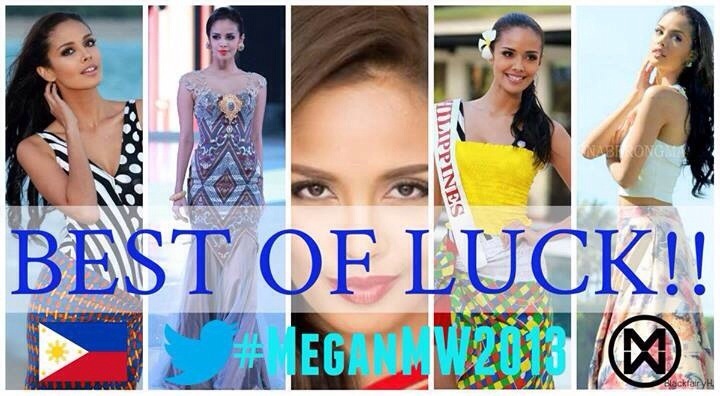 God bless the Philippines and may the winning momentum truly swing to your direction, Megan! *Credits to the rightful owners of the photos grabbed online. A heavy favorite from the very start, Filipina-American Megan Lynne Young, famous actress, 23, won this year’s Miss World Philippines title in last night’s pageant at Solaire Resort and Casino, Pasay City. In the pageant’s 64th edition, Megan earned the right to represent the Philippines in the 2013 Miss World pageant to be held in Indonesia come September 28. 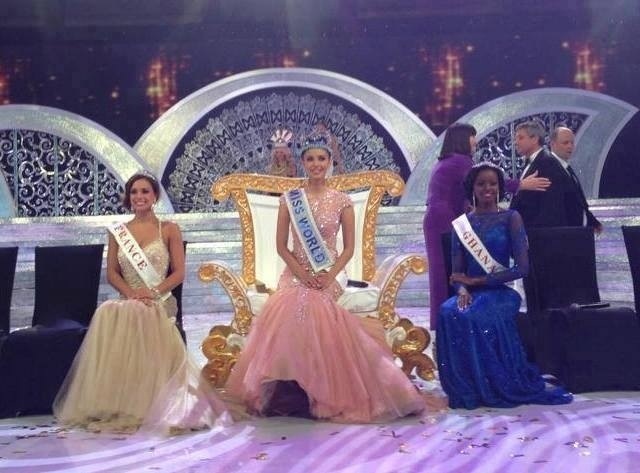 Second Princess – Zahra Saldua, Third Princess – Bianca Paz and Fourth Princess – Omarie Linn Osuna. Megan belongs to Team Aces and Queens, the country’s most famous and successful beauty pageant camp. It’s the same team which successfully handled last year’s Miss World Philippines Queenie Rehman, recent Miss Universe runners up Venus Raj, Shamcey Supsup and Janine Tugonon, etc. Miss World Philippines 2013, is the 3rd edition of CQGQI’s (Cory Quirino Global Quest, Inc.). 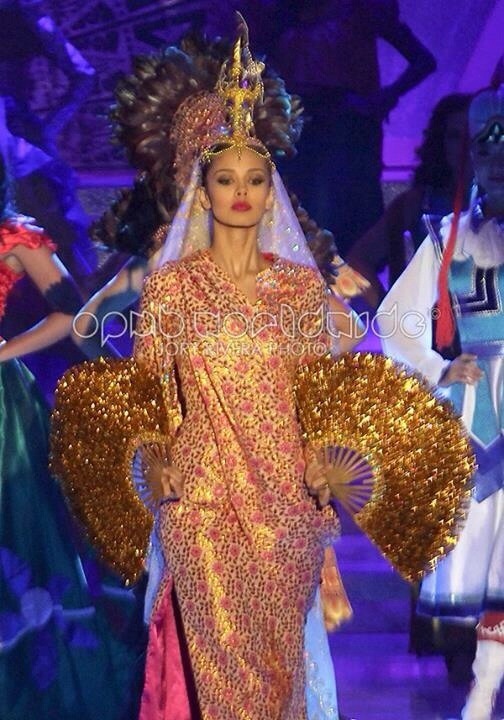 Wishfully, the Philippines will finally win her very first Miss World crown this year. Photo to credits to the rightful owners of the photos grabbed online.